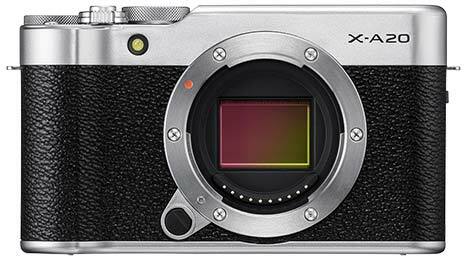 The Fujfilm X-A20 is a new mirrorless camera aimed at beginners. 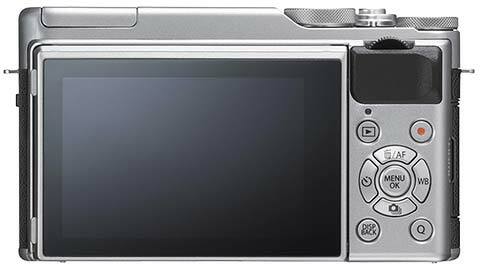 The 16.3 megapixel Fuji XA20 has a 3.0-inch, 180-degree flip-up "Selfie" screen with touch control and interestingly Eye AF, built-in pop-up flash, Wi-Fi function, shooting mode dial, electronic shutter with a top speed of 1/32000 seconds, and a small and lightweight retro design that weighs just 494 grams with the XC 15-45mm F3.5-5.6 OIS PZ kit lens. 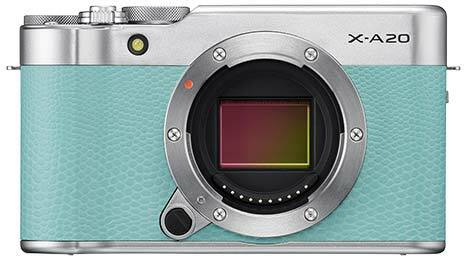 New entry-level camera choice: Fujifilm launched compact and lightweight digital camera "FUJIFILM X-A20"
Fujifilm Honors to Introduce FUJIFILM X-A20, a Non-Intrue Digital Camera, New Member of this X-Series Digital Camera to Deliver Superior Image Quality. X-A20 uses a compact and lightweight design, 16.3 million pixel sensor with more than 80 years of Fuji color reproduction technology, to show the X series of high-quality image quality. In addition, X-A20 is also equipped with a 3.0-inch Selfie screen, you can touch control, is ideal for entry-level anti-camera. 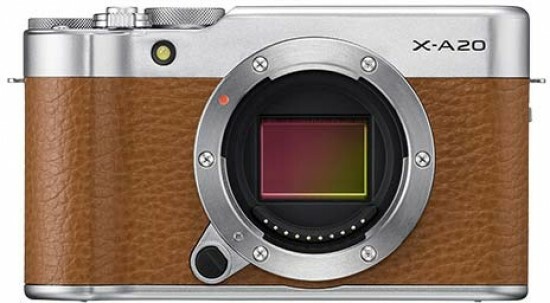 Featuring a 16.3-megapixel APS-C sensor and Fuji image processing engine, the X-A20 incorporates the ultimate sharpness of Fujifilm's lens and Fujifilm's more than 80 years of color reproduction technology to enable users to display superior quality under a variety of shooting conditions high-definition. Known all over the world for its ability to reproduce skin tones accurately, the X-A20 also features advanced skin tone reproduction capabilities to create amazing portraits. 6 film simulation mode and 10 creative filter mode to help you capture creative artistic effects. (2) equipped with 180-degree flip self-timer screen to achieve 100% of the display range, shooting a high-quality "selfie"
Body LCD screen with flip design, up 180 degrees flip, to achieve 100% of the display range. Pressing the rear command dial with the index finger releases the shutter to achieve one-handed shooting for self-photography, minimizing camera shake. When the display is flipped 180 ° up, the camera automatically activates Eye AF, automatically locking the focus at the eye. X-A20 also has beautiful figure mode, shooting a delicate rosy natural complexion. Small and lightweight X-A20 retro design. 3.0-inch touch screen for easy finger control: (1) shutter release, (2) focus selection, (3) AF area selection, (4) zooming (5) playback, slide during playback. Use two command dials for one-handed control, thumb for quick aperture, shutter speed, and exposure settings. Common functions such as white balance, continuous shooting, and Selfie can be assigned to independent function buttons without having to go to the menu to change settings. Energy-saving design to achieve a charge shooting 410 photos. The built-in pop-up flash uses a smart flash system that precisely controls light output based on various scenarios. Shooting a backlit scene or shooting a face under intense sunlight also gives you the natural color and brightness to avoid darkening your face with backlighting. Install the free FUJIFILM Camera Remote app on your smartphone or tablet and use the Wi-Fi function to transfer photos and videos to your mobile device with a simple one-click operation. You can view and select photos and videos on your camera or smartphone and easily import them into your device. You can also synchronize your data with your smartphone to get the GPS location information attached to the image. B door (up to 60 minutes), T door: 30 seconds to 1/4000 seconds. B door mode (up to 60 minutes), T door: 30 seconds to 1/32000 seconds. * The number of recordable frames may differ depending on the type of memory card used. * The number of frames varies depending on the recording conditions and the number of recorded pictures. * Red-eye reduction is enabled when Face Detection is set to On. * Use SD Speed Class, memory card with or faster speed.